This week, Texas became the first state to have to deal with an unsecured individual developing Ebola (Georgia and Nebraska have flown in patients for treatment). The patient, Thomas Eric Duncan, was treated at a Dallas hospital for over a week until he died on Wednesday October 8th. He was infected in Liberia, while helping the infected and pregnant daughter of his landlord get to the hospital, and he was not stopped at the airport because he had yet to exhibit symptoms (Ebola is undetectable and incommunicable for up to three weeks until symptoms start to show). Unfortunately, Duncan was not diagnosed quickly and had to go to the hospital twice, over a period of several days, before doctors realized what they were dealing with—despite this delay, everybody to be in contact with Duncan is now under observation and will be quarantined if they start to exhibit any symptoms. While the response was flawed in this instance, the presence of Ebola in Texas acts as a case-in-point, for the value of good government. Conservatives usually love to bash government and say that it is expensive, yet useless, but this worldview magically disappears as soon as Ebola starts knocking on the door. For all of their anti-government fervor, the people of Texas appear very happy to have the assistance of the federal government when facing down the threat of Ebola—they are welcoming the Center for Disease control and all federal resources to track and contain any potential infection. Put simply, it is easy and cheap to deride the idea of government, until a problem comes along that you cannot deal with on your own, and that the market is incapable of dealing with (treatment is expensive and no for-profit entity is going to step up to stop an epidemic)—Ebola is one of those problems. During the healthcare debate, we saw many right wing individuals argue that they don’t see why they should help pay for others’ health care and that people should have to earn their health care in the free-market system. Fortunately for these people, they now have the Ebola situation as a perfect object-lesson in why we, as a society, must take care of others (if only out of self-interest). 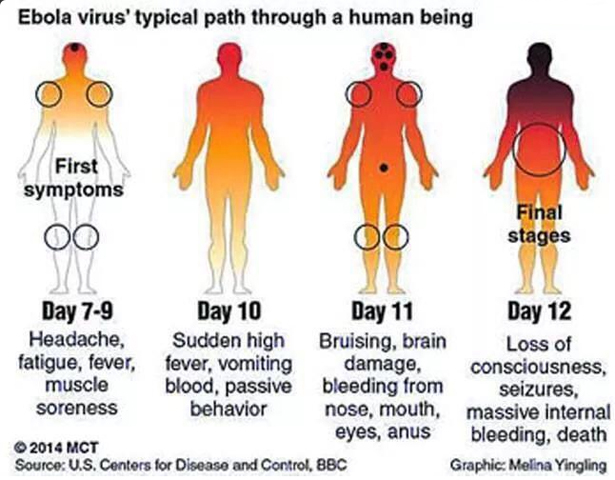 Ebola doesn’t care if you have health insurance and will use your body as a vector to infect others regardless of whether they have access to health care. If we let the determination of who gets care stay in the private market, the result is that many infected people will not get care and will end up infecting others. Ebola is an extreme example of this problem, but it is by no means unique. People who lack the ability to obtain health care are potential vectors for any number of less exotic ailments—from ones as benign as the common cold, to ones as serious as HIV or Meningitis—and the longer they remain uncared for, the more people get infected. If Texas conservatives wanted to remain true to principle, they would deny all federal aid and leave Ebola patients to receive only the care that they have bought on the private market. Of course, this would be wholly inadequate and many people would be infected by those who couldn’t afford care. The fact that they do not do this is indicative of the fact that Texans realize that their “rugged individualist, free-market” ideology isn’t actually effective. While they cling to this ideology in good times, they abandon it as soon as a serious threat emerges and are quick to shelter with the assistance of the government that they purport to despise. Unlike for-profit entities, the government can provide for the public good without needing to make money. Problems like Ebola outbreaks cannot be handled by the individual or the market thus are left to the government to fix. Conservatives must look at the Ebola outbreak and imagine what would happen if their dreams of a truly “small government” were realized. If everybody were left to pay their own way, then it would be up to the individual to track whether they were exposed to Ebola and try to scrape up enough money for an extremely expensive set of quarantine and treatment measures if they were infected. If they couldn’t pay, they would be left out on the street to die, while infecting others, and dramatically increasing the overall spread of the disease—in short, they would accurately simulate the very conditions that make Ebola so hard to contain in Liberia and the rest of the third world. The government has a purpose and, while it can be expensive, it is necessary to promote the public good. In the long run, good government is indispensable to the health of a society and reflexively shrinking government because you don’t want to pay to support the rest of your society is a very short-sighted ideal. It certainly can save you some money in the short-run, but you will eventually run into a problem that has immense costs which overshadow any earlier gains. If you pay for public education, you get an educated workforce and don’t have to pay as high a cost dealing with crime. If you pay for public housing assistance, you don’t have to pay the medical costs associated with homelessness or deal with survival crimes. I couldn’t agree with you more. We are much to shortsighted. am following you and I thank you! 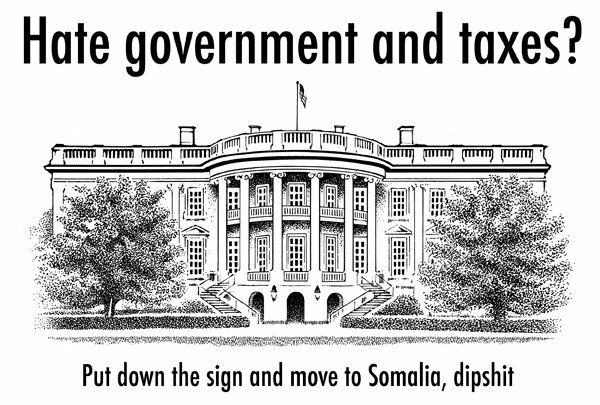 ….. and here you have the value of “government”!! Good one. Yes, now we have another perfect example. But you know fear mongering is ever so much more fun. What exactly is this article supposed to be about? The Affordable Care Act? Conservatives are not anti-government, liberals are. It is the liberals that lean towards anarchy (at least until they need food stamps, free syringes or methadone). The conservatives only “bash” the government when the liberals are in charge of it and have caused serious damage. 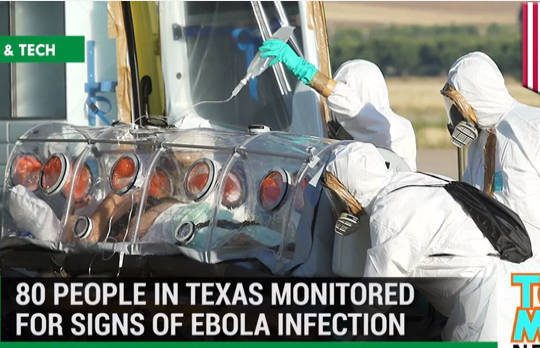 How many times has Ebola been seen in Texas (or anywhere else in the US) before? It isn’t as if this was expected and an incident such as this could have very easily happened in Massachusetts. Ebola is a threat to the nation as a whole and a rapid response from the CDC is necessary anywhere it is detected for the safety of every American citizen. Federal assistance is not the same as federal interference especially when it is necessary to contain a potential pandemic. Besides, Washington owes Texas a little help with Ebola since Texas gets virtually no help dealing with illegal aliens.